Sometimes it’s difficult to be grateful. 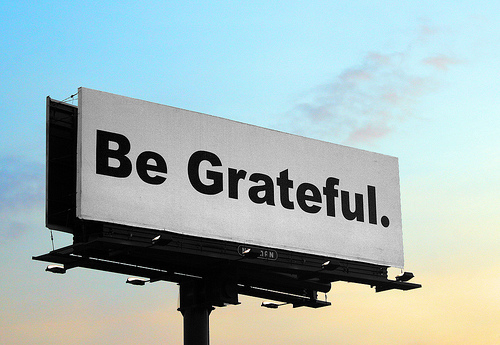 When I first joined Al-Anon, I had to search for things to be grateful over. I mean, I had to search. At first, it was little, tiny things like “putting my feet on the floor” in the morning as I got out of bed, being grateful that I “had feet” to put on the floor . . .
I’m not sure why that was. Maybe I was so focused on fixing the alcoholic in my life, so angry that I was even there in the first place, that being grateful seemed like the polar opposite of where I wanted or felt like I needed to be. Listening and being allowed to grow at my own pace at the tables . . . never being rushed or nudged along, never being told “you’re doing it wrong,” I was able to come to learn gratitude in my own way. Just feeling really good today. I hope you are too. If it’s a difficult time for you, remember nothing lasts forever. Even tough times. It’s true. It is true and generally, it gets better (or I do). I’ll take either one! Just found you and I”ll be back.